The Ghost Stripe car was ordered back in 2010 by a Porsche salesperson looking to impress a potential customer. The salesperson was thinking if he could just get this person’s dream car to Austin, the potential customer would undoubtedly buy the car. A few months after the order was placed the car arrived and the salesperson called up the doctor to tell him that his ideal car had arrived. Everything was almost perfect. The salesmen had missed one item on the doctor’s list: Guards Red gauges. Since the 911 GT3 RS was missing the specified gauges the potential customer opted out of buying the car, leaving Porsche Austin with a 2011 Porsche 911 GT3 RS that had a paint-to-sample Guards Red exterior color accented by Guards Red stripes. At the time, 911 GT3 RS models didn’t come in Guards Red and the only way someone could get a 911 GT3 in that color was to order a paint-to-sample vehicle. This uncommon color combination creates what has been referred to as a ‘ghost stripe.’ The car’s stripes almost vanish into the matching paint job, hence the ghost stripe name. After the intended customer passed up the vehicle, Porsche Austin reached out to a loyal customer and notorious Porsche collector about the rare 911 GT3 RS and the customer ended up purchasing the car on the spot. Neither Porsche Austin or the individual who bought the 911 GT3 RS knew how valuable it was. It was then that Porsche Austin started gaining an understanding of how special this 2011 911 GT3 RS was. That understanding was further compounded by the son of the Ghost Stripe car’s owner. The son was also a car fanatic and discovered through his own research that the only other 911 GT3 RS with unusual Guards Red on Guards Red color combination was sold at auction in the UK for $400,000. The owner of the Ghost Stripe car had a history of not trading in or selling the Porsches in his collection. Porsche Austin thought that it would never have this 2011 911 GT3 RS Ghost Stripe in its inventory again. This individual had an extensive assemblage of Porsches that he added to every year. Through his car-collecting escapades, he ended up favoring newer Porsches that had more advanced technology. This favoritism prompted him to evaluate his collection. After considering the value of the Porsche 911 GT3 RS Ghost Stripe, he decided to sell it to Porsche Austin. The value of this 2011 911 GT3 RS not only stems from its almost one-of-a-kind exterior color combination but also the type of engine block that resides just under the hood. At the time of this car’s production, Porsche used Metzger racing motors for their GT3 and GT3 RS models which were the same engine blocks used on the racetrack. After that generation of car, Porsche switched these models over to a standard direct fuel injection engine block. As soon as the manufacturer made the switch over to DFI for GT3 and GT3 RS vehicles, all older model shot up in valuation. On top of that, this car is in pristine condition and well equipped. The previous owner of the Ghost Stripe car was the sole owner. The car was never used for track events and has under 7,000 miles on the odometer. This vehicle also has a flat 6 cylinder 3.8L engine and a manual transmission. The interior includes black leather seats with black Alcantara inlays. In addition, aluminum wheels, heated mirrors, RWD drivetrain and a front axle lifting system are also among the features of the 2011 911 GT3 RS Ghost Stripe. The Ghost Stripe car is every collectors’ dream: exclusive, well-maintained and seriously valuable. This 2011 911 GT3 RS might be one of the rarest models to ever grace Porsche Austin’s inventory. 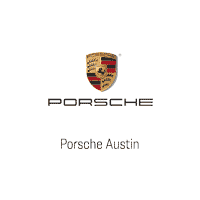 Stop by Porsche Austin’s Pre-Owned Showroom to see the Ghost Stripe car in person.